It’s with great pleasure to announce the first-ever Mobile Dating Boot Camp to take place in May/June of 2011. So what is Mobile Dating Boot Camp and how can you get involved? As a mobile dating expert, I was asked to moderate a focus panel at the Mobile Dating Conference for Internet dating executives of single daters between the ages of 21-30 who would actively use a variety of mobile dating apps. It’s a mobile dating kiss-and-tell of a four-week journey yet to unfold. Twelve participants will be selected from the ThreeDayRule database and will chronicle their online dating experiences at MobileDatingBootCamp.com. 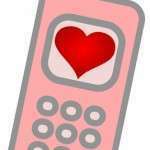 You can comment on their dates, like their pages, and join in on the fun by sharing your experiences as a mobile dater. The Boot Camp will end with the twelve daters appearing on my panel at the Internet Dating/Mobile Dating Conference to be held at the SLS Hotel in Beverly Hills on June 22, 2012. Singles will share what they liked and didn’t like about different mobile apps to the Internet Dating Executives in attendance. Following the panel, the daters will be treated to a fabulous lunch at the SLS Hotel and receive gifts valued at over $600 from our partners including a free online dating profile critique from Cyber-Dating Expert and a dating coaching session from ThreeDayRule. If you’re interested in participating, let us know in the comments and share your favorite mobile dating app with us.